The Central Bureau of Investigation had asked for a death sentence for Mustafa Dossa in the 1993 Mumbai serial bomb blasts. 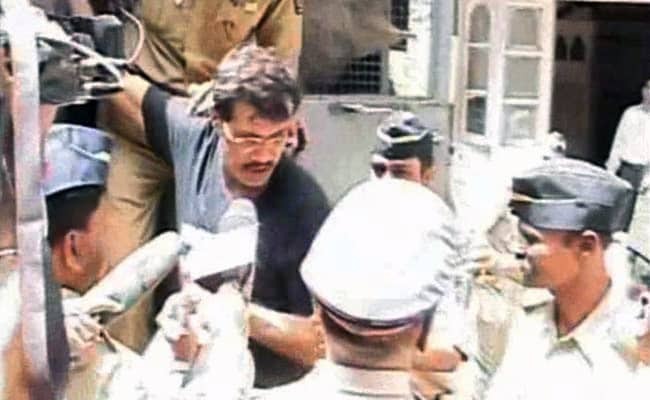 Mumbai blasts convict Mustafa Dossa died in a city hospital on Wednesday. MUMBAI: Mumbai serial blasts case convict Mustafa Dossa died of cardiac arrest in a city hospital on Wednesday, weeks after a court found him guilty of transporting weapons to Mumbai for the serial blasts that killed over 200 people 24 years earlier. Early this morning, Mustafa Dossa was initially admitted to the Arthur jail's hospital ward after he complained of chest pain and had uncontrolled hypertension, and later shifted to the JJ Hospital when his condition did not improve. He died on Wednesday afternoon. Just 24 hours before he died in hospital, the Central Bureau of Investigation had asked a court to sentence Dossa to death, arguing that his crime in the blasts was "more severe" than that of hanged convict Yakub Memon. Dossa was one of the "brains" behind the conspiracy and his degree of responsibility towards the commission of the crime was the highest, the agency told the court. Prosecutors have argued that Mustafa Dossa masterminded the import of explosives in India and sent some men to Pakistan for arms training. This was the second leg of the trial in the serial blasts case involving seven accused by a special Terrorist and Disruptive Activities (Prevention) Act or TADA court in Mumbai. In the first part of the trial that ended in 2007, the anti-terrorism court had convicted 100 people. In 2015, Yakub Memon was hanged in connection with the same case.